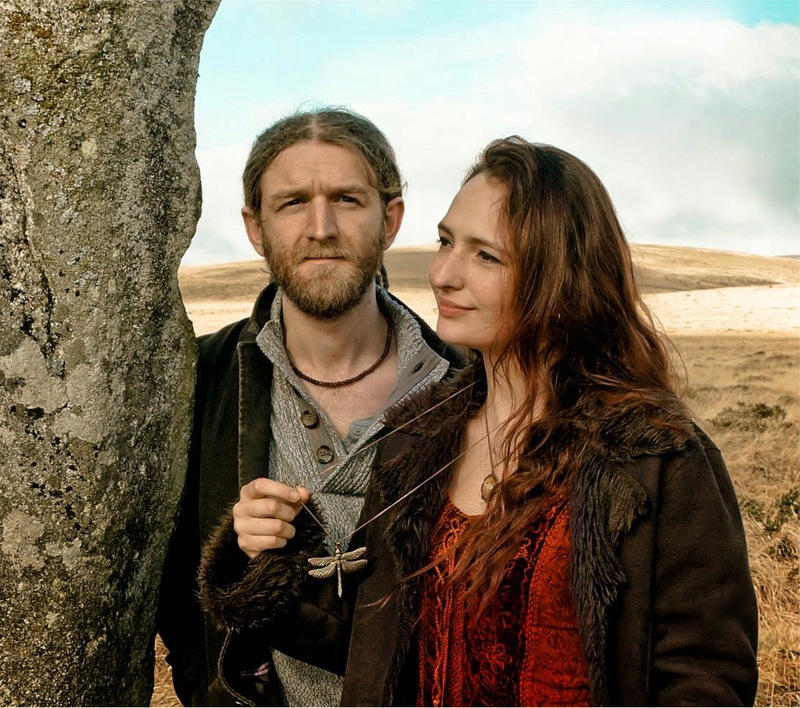 Fresh from their success of being named Best Duo at the recent BBC Radio 2 Folk Awards, Phillip Henry and Hannah Martin continue to make substantial waves in the world of traditional roots music. 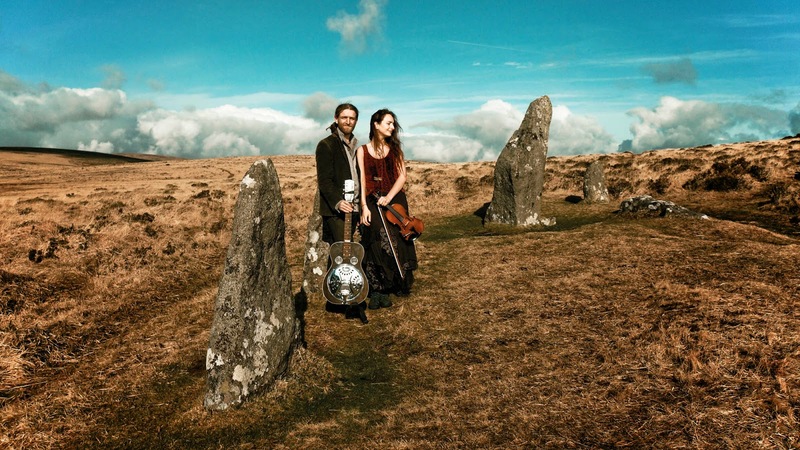 As a duo they are inventive, energetic and passionate about their specific areas of interest which spans three continents in an attempt to tap into sources of enchanting song and majestic slide guitar playing. The Kitchen Garden Café is an established Midlands venue on the roots music scene and, despite the sounds in the past of many fine artists reverberating around its acoustic friendly brick walls, there cannot have been many better 45 minute slots than the second half of Phillip and Hannah’s set on this mild Sunday evening. It may have taken the award winning duo a little while to warm up and adjust to the surroundings, including a few teething technical issues, but eventually the quality kicked in to leave a near sell out audience thrilled to be in the company of two inspiring musicians. For those who like their traditional music with an Americana flavour then the impressive Dobro playing of Phillip Henry is served gift wrapped with the soul of the south. Throw in some enigmatic gospel and blues style harmonica segments and a couple of covers of songs made famous by Gillian Welch and Alison Krauss, then there was more than enough to keep any transatlantic music enthusiast satisfied. This need not detract too much from the duo having a strong foothold in the world of traditional English song and Hannah’s stylish vocals are more than suited to interpret tales such as ‘Death & The Lady’, the audience participating ‘The Nailmakers' Strike’and the self-composed ‘The Painter’. A song inspired by its Wiltshire location ‘Silbury Hill’ was perhaps the highlight of the first set where we were now fully acquainted with the fiddle, viola and banjo playing of Hannah to supplement her soothing vocals. In addition to his mightily impressive Dobro playing and harmonica interludes, Phillip utilised the stomp box and beat box to good effect as well as providing the vocals for Gillian Welch’s ‘Wichita’. The sub-continent is another fertile source for Phillip’s inspiration and we learned of the importance of his trip to India several years ago to immerse into the culture of the centuries-old tradition of slide guitar playing. When the duo performed their version of ‘The Boy Who Wouldn’t Hoe Corn’, revived by Alison Krauss and the Union Station, you couldn’t help but compare Phillip to the Tennessee Dobro maestro himself Jerry Douglas. By the time the evening had been brought to a serene closing with a gorgeous version of James Taylor’s ‘Close Your Eyes’, there could not have been a Kitchen Garden Café inhabitant not in awe of the performance of this highly talented duo. Their second studio and most recent release MYND, of which we were entertained with a debate about its old English name origins, supplied a fair amount of this evening’s material and is an album worth acquainting yourself with. Phillip Henry and Hannah Martin have great crossover potential, with that being straddling several strands of folk and Americana instead of delving into the saccharine world of pop. This performance when hitting its stride was one which gave marvellous entertainment and catching them again sometime in the future was added to the wish list.